"May the fleece be with you!" Become a master of the "force" in your own home! When a Jedi is not busy protecting peace and justice in the Galactic Republic, he's just as much of a couch potato as you and I. No, strangely enough their life consists of more than negotiating trade disputes and chopping off limbs of loud-mouthed bartenders. When the threats are overcome, they'll be reclining with a delicious Hendrickx tonic, enjoying the latest movies that, for once, are not based on their own adventures. Of course, a Jedi is not going to lounge in his daytime uniform. But can you picture a Jedi strolling around his living quarters in a rainbow pyjama? No, exactly! 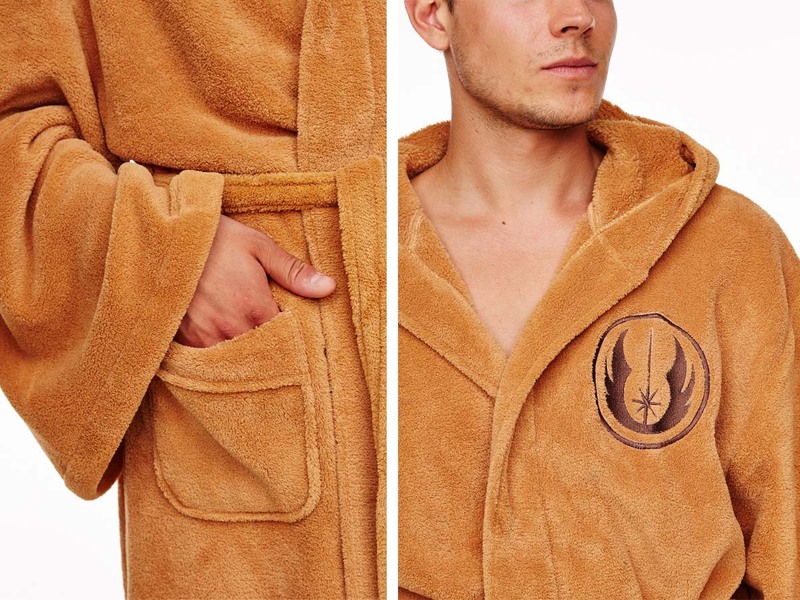 They'd much rather relax in a stylish and elegant Jedi bathrobe. The bathrobe offers a galaxy of room and comfort and is made from lovely soft fleece. 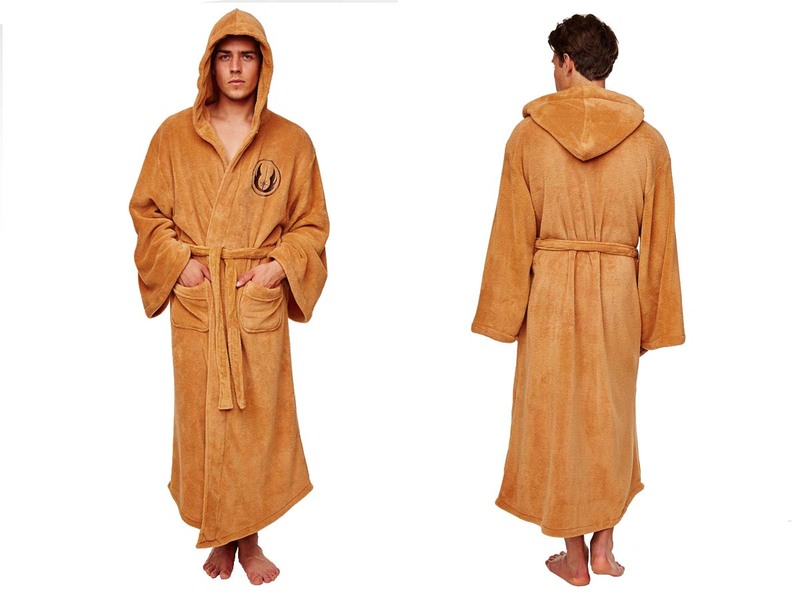 Warning: The life-like Jedi outlines and the beautifully made Jedi emblem on the robe can cause your roommates to run for their lives. It might be wise to keep an ID in one of the two convenient pockets for the first few days.